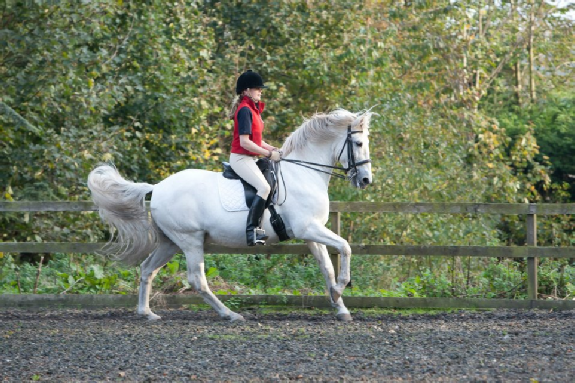 If you've borne with me and managed to read about the commitment, the difficulties of searching for your goal, the teachers who don't teach, the prejudices etc., might I politely suggest that if you allow yourself to become involved in Classical Dressage it could be life changing? There is a hugely positive side. I have seen the look of wonder on the face of someone who has ridden all their lives with its joys and disappointments, its riddles and its mysteries, but always felt there was something missing. Put into words you could say there was no consistency, no certainty about what they were doing. They always felt there could be something more - but what? Then, one day a door opens. A chink of light appears - you discover something that illuminates the path you are struggling to follow and something which eluded you for years, is suddenly made plain. You look further; another occasion, another problem - why did my horse do that? why can't he canter on the right leg? why does he continually go disunited on that corner? why does he make a transition when I didn't ask? You look ..... another door opens, another piece of information, again the feeling of the path being lit up ahead of you - it's all there - how could you have missed it? 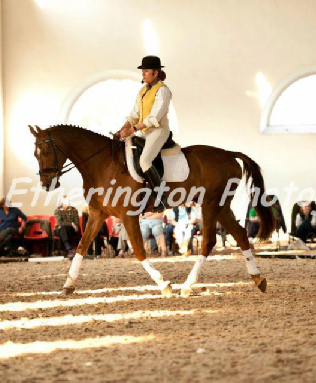 This is what classical riding represents, throwing light into darkness, order into chaos - finding through classical dressage theory and practice and above all, FEEL - the answers to all those questions. It's so logical! Once you open yourself to knowledge, things change. The more you question, the more answers. The more you seek, the more self-fulfilling the quest. Things start to happen. It's not just your riding, your whole attitude is changing. You're in touch with your body, with Nature, with the greater scheme of things. Is there someone out there helping? perhaps... Now, when things go wrong, you can cope. You're more in charge, more aware, more confident - because you know, you'll be shown the way, because there's always an answer. And with faith, belief and an inherent trust in the order and goodness of things, you know, however hard the way, you will come round that corner and all will be light again. Things start to happen! You meet new friends - they think like you do! you pick up a book - something you needed to know - it's there! you watch a certain horse and rider - it's suddenly so right! That's the way you can ride too and it will happen if you want it enough. And sometimes, incredible opportunities present themselves. They did for me.... THEY CAN FOR YOU ..... read on if you want to know!